"I Love You Even Though..." and "Celebrating Love"
Are you that girl, you know the type who expects her guy to be perfect? Well, you’re not alone, and that’s why former that girls Rebecca Murray Schuler and Christine Wiesedeppe-Regan wrote I Love You Even Though…, a pocket-sized book full of humorous anecdotes so you can stop being so hard on him, especially since he’s just being the guy you fell in love with in the first place. • You don’t understand the financial and emotional disparity between “Coach” being printed on a handbag and “Coach” being printed on an airline ticket. • You can effortlessly organize a fantasy football draft involving 12 guys, 6 cases of beer, 8 pizzas, and 5 orders of Buffalo wings, but forget to make dinner reservations for our anniversary. • You consider all asking to be a form of nagging. 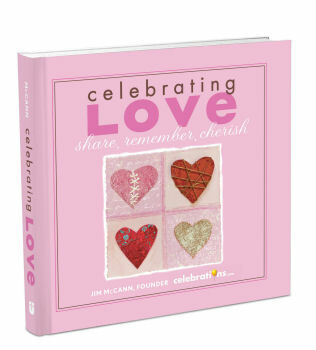 Jim McCann, founder of 1-800-FLOWERS and Celebrations.com, collected remembrances and expressions of gratitude submitted by customers and visitors to his website to create Celebrating Love: Share, Remember, Cherish. 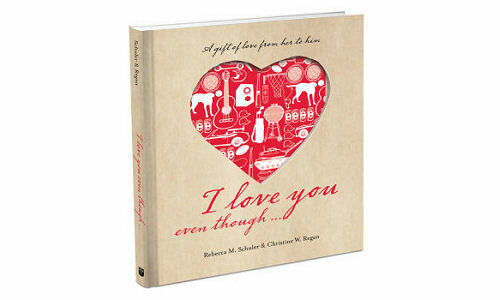 The inspirational mini-book features 150 entries, including personal stories, meaningful quotes, and interesting facts about love and affection that will help you keep lovers, family, and friends close to your hear this Valentine’s Day.